Delivering the best value body worn camera systems. Reduce violence and aggression. Capture quality evidence. We are reliable professionals with over 10 years of experience in the security industry. We listen to our customers and work with them to address their needs through innovative solutions. We provide affordable, robust, user-friendly evidential quality video/audio recording equipment that you can trust. We provide the best camera possible to suit your needs and your organisations requirements. We are an Official supplier of the following: Klick Fast products from Peter Jones ILG, the UK's leading manufacturer of professional carriage and protection systems. 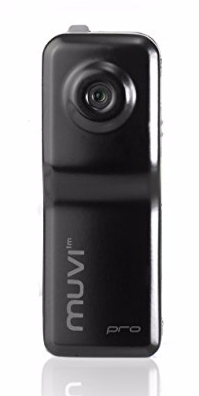 Muvi products from Veho. Veho is a UK based manufacturer of lifestyle consumer electronics. Transcend, a leading global brand of digital storage, multimedia and industrial products. Clear Evidence, a supplier of approved CCTV management and evidence products. We believe excellent customer service should come as standard and we aim for our company name to be synonymous both with quality equipment and outstanding client support. Please visit our online shop for a wide range of body-worn cameras and accessories.